New Zealand’s largest general insurer suggests more of us need to add our insurers to the ‘favourites’ of our address books. An IAG survey of 800 New Zealanders, undertaken in June, shows not enough of us are contacting our insurers, as we should, when our circumstances change. Here’s IAG’s national technical specialist, Chris Kiddey, on when we should and shouldn’t update our insurers. “A coat of paint, new fixtures, redoing the lino, minor things such as these are no problem. But let your insurer know if you’re doing anything structural – you may not be covered for any related losses,” Kiddey says. Less than a third of IAG survey respondents saw a need to let their insurer know about renovations being made to a kitchen, bathroom or any other part of their property. More than half of survey respondents would leave their home empty for more than 60 consecutive days without notifying their insurer. Kiddey says this shouldn’t usually be a problem provided you are also living in the home. Two in three IAG survey respondents would have paying guests in their home without changing their cover. It depends on the value of the upgrades. 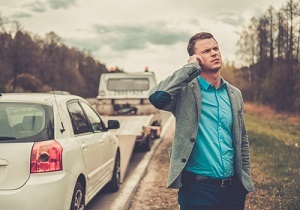 “Usually you won’t have to notify your insurer until your policy renews, but better safe than sorry: if in doubt, make the call,” Kiddey says. Survey results show a third of respondents would update their policies if they made modifications to their cars. In most instances you don’t have to contact your insurer if someone under 25 drives your car, as the average motor vehicle policy doesn’t have an automatic restriction for young drivers. However Kiddey says you can in some instances elect to pay a lower premium to have a restriction on drivers under 25. In this case, you should notify your insurer if a young person gets behind the wheel. Just under half of IAG’s survey respondents said they’d bypass telling their insurer if they had an extra under 25 year-old drive their car. “You don’t necessarily have to tell your insurer about this,” Kiddey says. Sixty percent of survey respondents said they would declare a health condition that affected their driving skills, such as having to wear glasses while behind the wheel. “When you buy something expensive, you should call your insurer,” Kiddey says. Almost two thirds of survey respondents would update their policies to include an expensive new item, such as a piece of art or jewellery or a coin collection. Women were marginally more likely than men to protect their items. Call your insurer if you shift home or put any of your contents in storage. Survey respondents were divided when it came to getting the right cover while on the move.